Fractals have always been a subject of deep fascination for me. 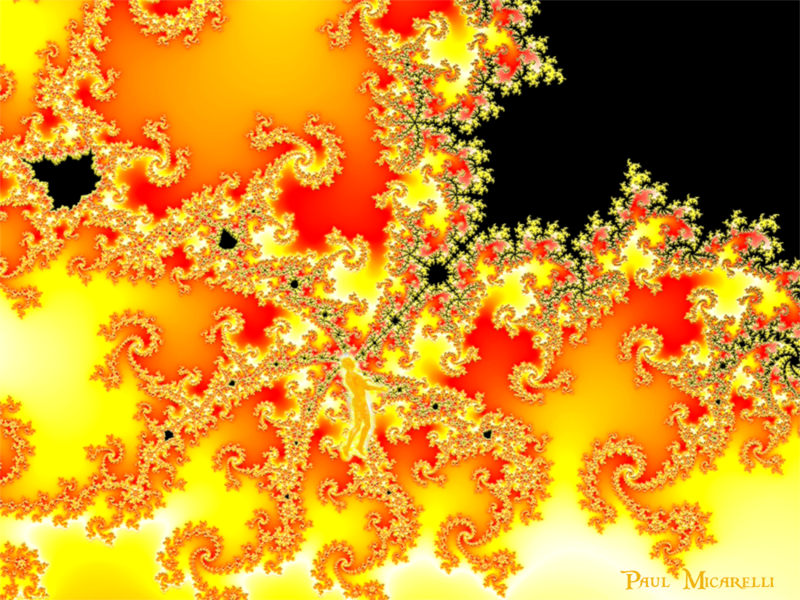 I've created fractal images & posted about the fractal-like qualities of reality here many times. 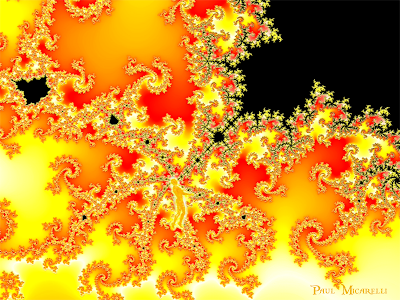 Fractals are mathematical formulas that result in infinitely complex images when plotted point by point. When calculated on a computer, it's possible to "zoom" in & out of the image to render the image at different resolutions. In fact, I like to think of fractals as being 2.5 dimensions, because there is a "virtual" dimension of depth when you zoom throughout the image. The main feature of fractal geometry is the recursive nature of the visual elements. As you zoom into & out of the picture, there are self-similar features that continuously appear. I wouldn't go so far as to say the the Universe is a fractal, but it definitely contains fractal-like qualities & features. On Awakening Our Truth, I saw this animation of a zoom into the Mandelbrot fractal, named after the discoverer of fractal geometry, Benoit Mandelbrot. It is 15 minute long & shows the endless continuum of features that a simple fractal formula can produce.